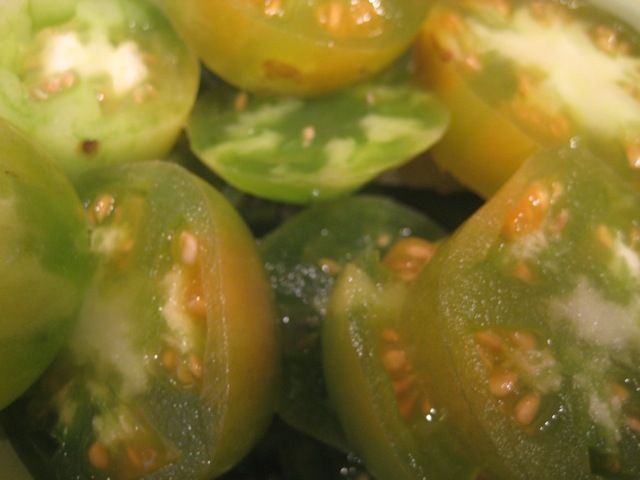 I headed up to the garden this morning to do the fall clean-up and found a bunch of green tomatoes left on the vine. 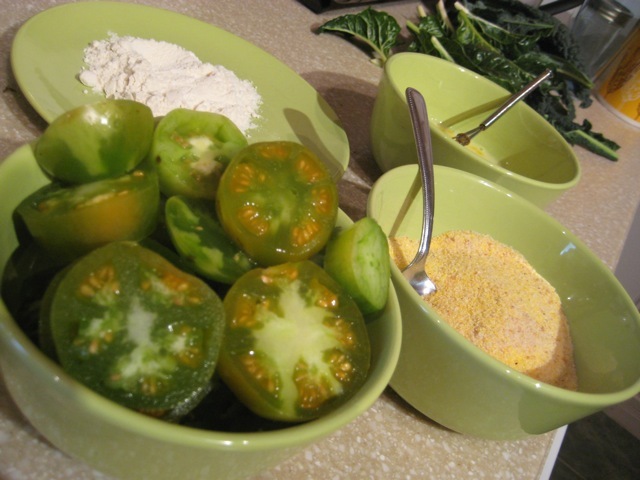 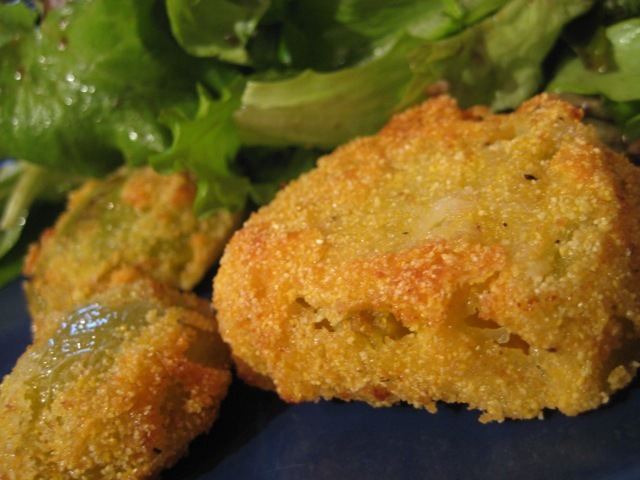 I don’t think I’d ever made fried green tomatoes before, but they were really easy and made a great lunch with a salad (fresh indoor-grown greens from Plan B) and smoothie. 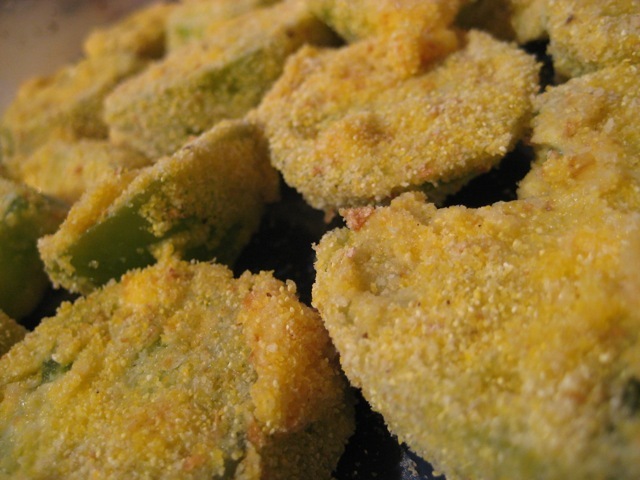 I did a rough (not very measured) version of this recipe from Allrecipes. 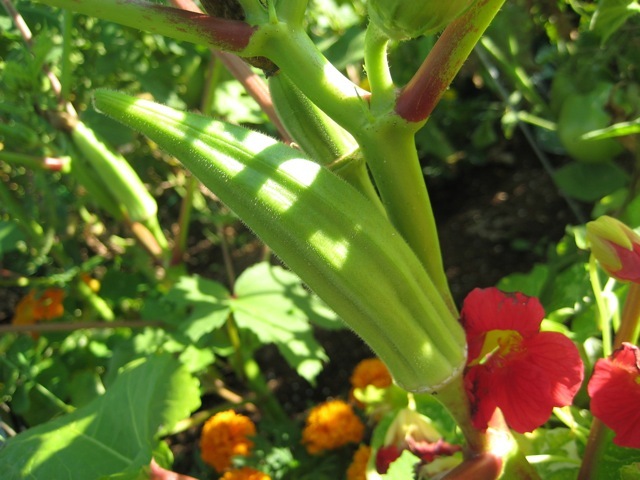 This year I picked up okra plants at Fiesta Farms on a whim, with no idea what would happen. 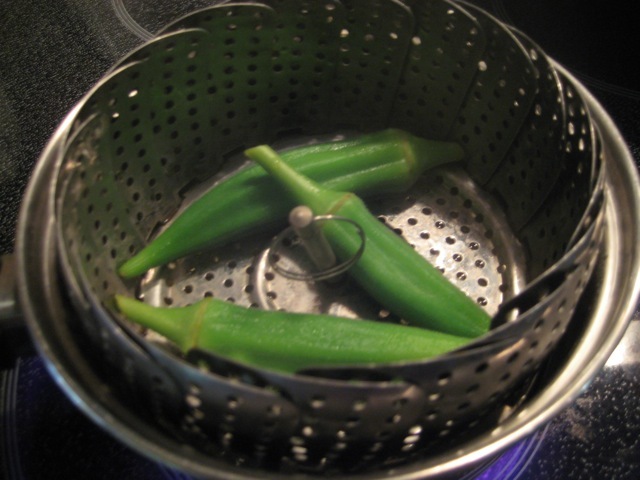 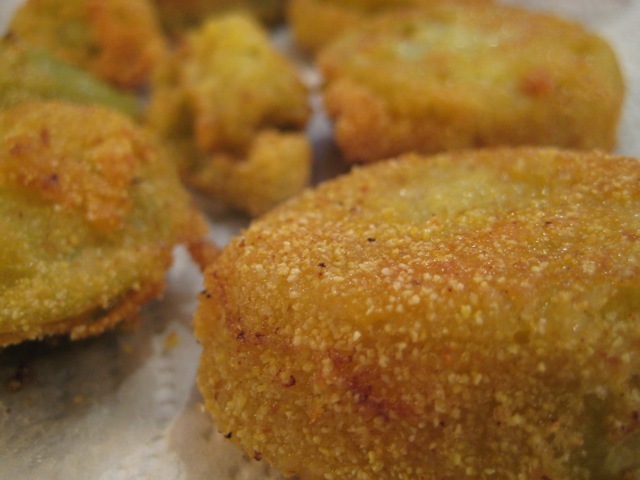 We picked three okras – okra fingers? 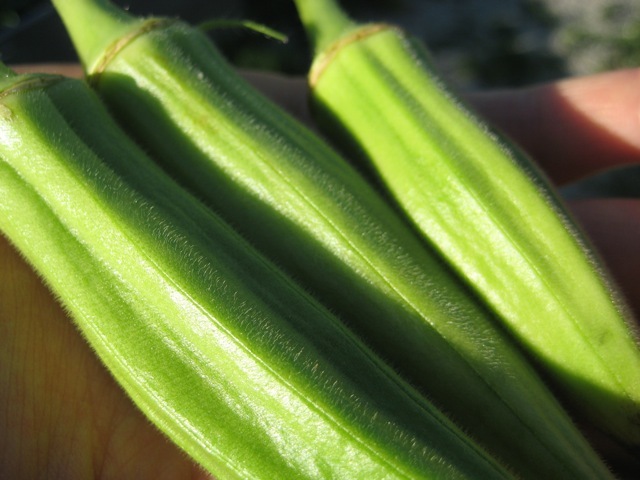 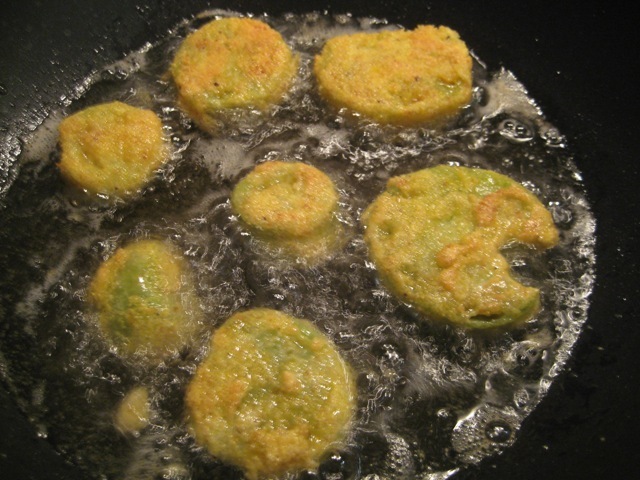 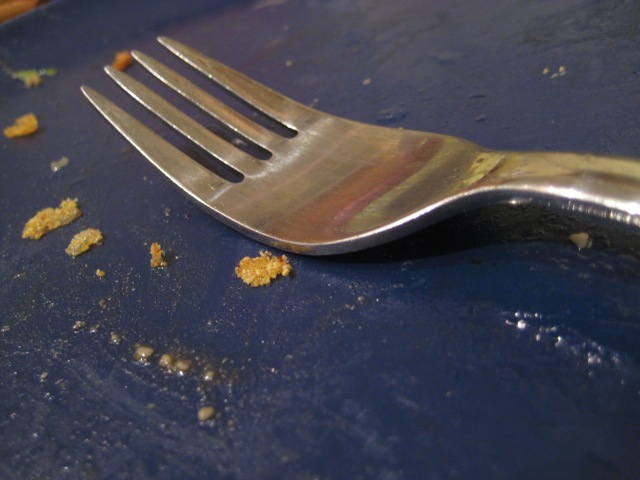 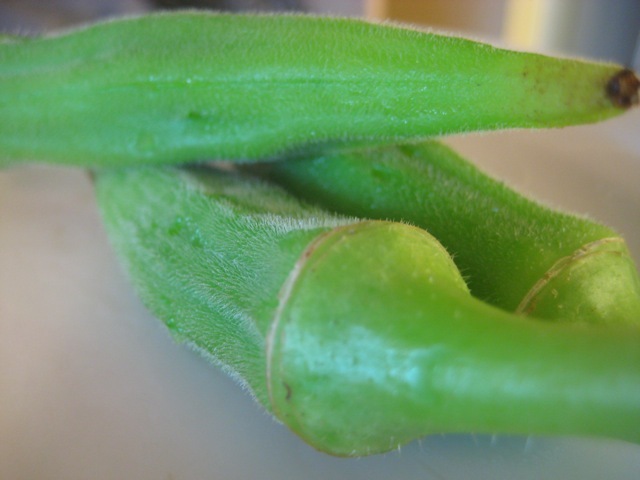 – pieces of okra – what is the singular of okra?